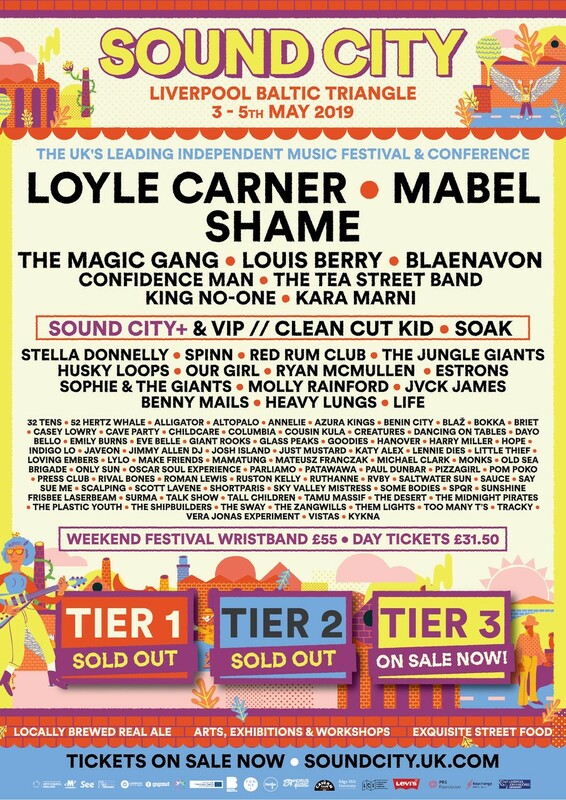 LIVERPOOL'S Sound City has revealed which artists will join Loyle Carner, Mabel and The Magic Gang for this year's festival. 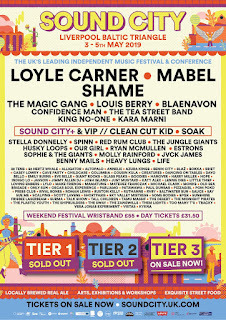 Now in it's 12th year, Sound City have a habit of championing emerging talent - this year being no different. Set to return to the Baltic Triangle from Friday 3 to Sunday, May 5 the festival will showcase some of the industry's most inspiring new artists and performers. Leading the line-up announcement is South Londoners Shame who will perform at Sound City slap bang in the middle of a mammoth US tour. Harmonious guitar band Blaenavon are next up in the announcement alongside Aussie outfit Confidence Man. Liverpool favourites Tea Street Band will make their welcome return to the city-based fest, alongside King No-One, Kara Marni, Clean Cut Kid and Soak. Lo-fi folk-popper Stella Donnelly will bring her wondrous feminist defiance to proceedings along with Scousers Spinn who compliment energetic indie rockers The Jungle Giants. Other artists to watch out for are Lennie Dies, Saltwater Sun, Tamu Massif, Pizzagirl, Monks, Estrons, Emily Burns, Benny Mails, Sunshine Frisby Laserbeam, Talkshow and Childcare. But that's not all, as Sound City's international offering is an exciting achievement in itself with the likes of Husky Loops, Giant Rooks, 52HertzWhale, Shortparis and Say Sue Me. Sound City’s managing director Rebecca Ayres said: “This is a major announcement for us at Sound City, as we reveal the main wave of artists coming to Liverpool for our 12th year in Liverpool. "Following on from Mabel and Loyle Carner, we are presenting one of the UK’s most dynamic and diverse range of artists performing across the Baltic Triangle.